Global Warming Hoax Includes Phony UA Scientists, Dept. A phony scientific paper has the blogosphere and global warming skeptics in an uproar. The Nov. 3 online publication in the "Journal of Geoclimatic Studies" is attributed to Daniel Klein and colleagues in the Dept. 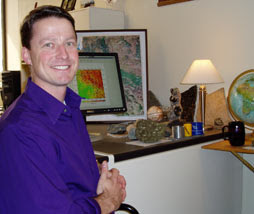 of Climatology at the University of Arizona and elsewhere. Klein, his colleagues, the Dept. of Climatology, and the journal, however, don't exist. 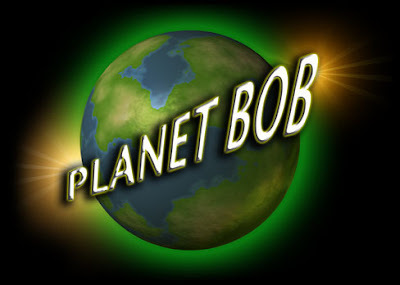 They are the apparent creation of David Thorpe, a UK-based journalist and web-site designer, who posted the phony report online to "test the scientific illiteracy and credulity of global warming skeptics" (see his description of the hoax at http://pranks.com/2007/11/12/geoclimatic-studies-hoax/). The phony study claimed that global warming is caused by large quantities of CO2-emitting bacteria on the sea floor, and not by humans. Reuters News Agency put out a story (http://blogs.reuters.com/environment/2007/11/08/bacteria-hoax-briefly-fools-climate-sceptics /) about skeptics being taken in by the hoax, at least briefly, spreading the word that, "This could not be more damaging to manmade global warming theory..."
The blogosphere is rife with stabs at the skeptics, including Rush Limbaugh, for being so gullible, while the skeptics are claiming to have spotted the hoax very quickly and grumbling about 'black ops' tactics by the other side. There is a nice summary of the hoax at http://dotearth.blogs.nytimes.com/2007/11/11/the-life-and-death-of-a-climate-hoax/. I applaud ASU for its creative use of videos to help explain and communicate science. The ASU International Institute for Species Exploration (IISE) launched a media campaign to raise public interest in cybertaxonomy. View the trailer at www.planetbob.asu.edu. It's also posted on YouTube, and while not as popular as dropping Mentos into a Diet Coke, it's attracting attention. In a press released issued today, Google announced "a new strategic initiative to develop electricity from renewable energy sources that will be cheaper than electricity produced from coal. The newly created initiative, known as RE (less than symbol) C will focus initially on advanced solar thermal power, wind power technologies, enhanced geothermal systems and other potential breakthrough technologies. Google's philanthropic arm, Google.org, "will make strategic investments and grants that demonstrate a path toward producing energy at an unsubsidized cost below that of coal-fired power plants. Google will work with a variety of organizations in the renewable energy field, including companies, R&D laboratories, and universities." 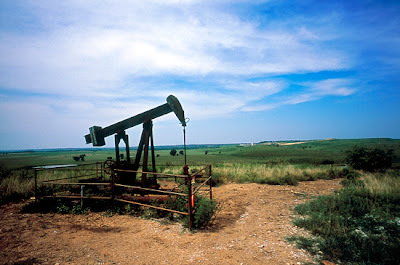 The International Energy Agency (IEA) last week reported in its annual energy outlook that it cannot rule out a "supply-side crunch" in world oil markets by 2015. IEA projects even faster demand growth than it did last year. Of particular concern to the U.S. is the forecast from Canada's National Energy Board for production from the Alberta tar sands, currently running about 1.3 million b/d, which is starting to slip. The Board now believes that we should expect a daily production of 2.8 million b/d by 2015, down from the 3.0 million b/d that had been forecast. Speculation last week was that Phoenix-based Freeport-McMoRan Copper & Gold might be a target of a takeover attempt by London-based Rio Tinto to thwart the proposed $150 billion takeover of Rio Tinto by BHP Billiton. 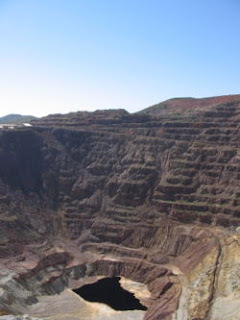 Rio Tinto and Freeport are partners in the Resolution copper mine under development in central Arizona. In recent days market analysts are speculating that China is opposing the BHP-Rio Tinto merger because it would consolidate the world's biggest iron ore producers. The combined company would control 40% of the world market for iron ore, according to Economist magazine. The analysts say China's growth is consuming half of the world's iron ore and they want more competition to lower prices, so they may working behind the scenes to prevent the merger. German steelmakers are opposing the merger as well. Rio Tinto is fighting the merger proposal by raising its dividend by 30%, and increased the expected savings from buying Canada's Alcan in July by over 50%, promising $940 million a year. Rio Tinto also plans to triple its iron-ore output, in part by investing $2 billion in its Western Australian mine complex. What role Freeport may play in this international game is still to be seen. 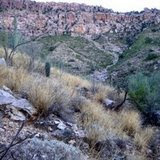 The UA's NSF-funded Science and Technology Center for Sustainability of Semi-arid hydrology and Riparian Areas (SAHRA) is a co-winner of the 2007 International Great Man-made River Prize. The prize is awarded every other year by UNESCO, the United Nations Education, Science, and Culture Organization. SAHRA is a joint winner of the prize with the Center for Hydrometeorology and Remote Sensing (CHRS) at U.C. Irvine. The UNESCO prize "rewards remarkable scientific research work on water usage in arid areas as well as areas subject to drought and also for the development of agriculture for the benefit of humanity and the environment." NSF officials have told me that SAHRA is the model they point to on how to run a science and technology center. This augers well for SAHRA's continuation after NSF S&T center funding ends. The USGS released a new assessment of oil and gas potential that includes the extreme NW corner of Arizona, in the Sevier thrust belt. The USGS estimates mean reserves of 301 million bbls of oil (MMBO) and 100 billion cubic feet (BCFG) of natural gas but since the area is predominantly in Utah, we can't tell how much may lie in Arizona. Last year, my colleagues in the oil business in Utah told me a leasing play was underway in northern Arizona, following the thrust belt discovery by Wolverine Exploration in central Utah. It seems clear this is the target they are after. The USGS estimates range from 33 MMBO and 10 BCFG (at a 95% confidence level) to 809 MMBO and 279 BCFG (at a 5% confidence level) for the Sevier thrust belt. Only a small part of that is likely to occur in Arizona. 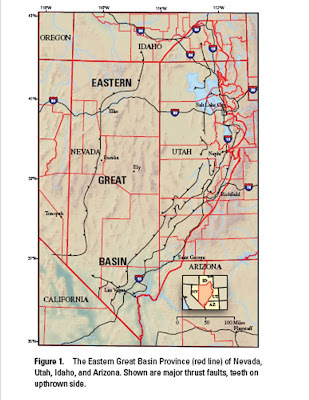 The full report is at "Geologic Assessment of Undiscovered Oil and Gas Resources of the Eastern Great Basin Province, Nevada, Utah, Idaho, and Arizona," USGS Digital Data Series, DDS-69-L, Version 1.0, 2007. A report on Arizona's renewable energy resources commissioned by Arizona's three largest utilities, Arizona Public Service (APS), Salt River Project and Tucson Electric Power (TEP), identified more than 5,000 megawatts (MW) of untapped renewable energy resources in Arizona. Two geothermal sites in eastern Arizona, Clifton and Gillard hot springs, were estimated to be able to produce 20 and 15 MW of electricity, respectively, for a total of 215 GWh/year. Because the production tax credit will expire before they can be brought online, there costs will be high, but comparable to solar power currently. AZGS received well cores from the Clifton prospect, which are available for research. 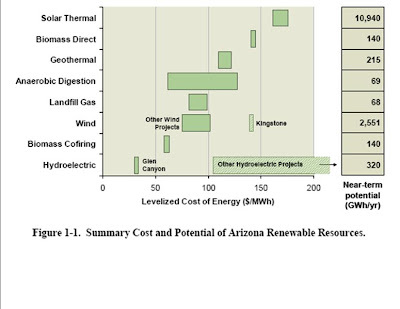 The Arizona Renewable Energy Assessment is available on the Black & Veatch Web site at: http://www.bv.com/markets/resources.aspx#energy. The USGS identified 6 strategic goals for the coming decade in an article published this week in Science magazine (http://www.sciencemag.org/cgi/content/full/318/5848/200). USGS, "Facing tomorrow's challenges: U.S. Geological Survey science in the decade 2007-2017" (Circular 1309, USGS, Reston, VA, version 1.0, April 2007); available at http://pubs.usgs.gov/circ/2007/1309/. States are filling in the gaps in science and technology and related policy created by a waning investment and support at the national level. That's a conclusion I came away with from the past two days in a national convocation organized by the National Academies (Science, Engineering, Medicine) and others, to examine the growing role of states in science and technology. While there has been widespread recognition in the past couple of years that the US is falling behind in science and technolog, it has been largely viewed as a national problem. 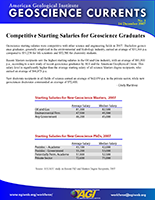 Now, however there are many large, innovative efforts underway at the state level. States are seen operating as mini-nations in this arena, a concept that should not be surprising when you realize that state economies equal those of other nations. Gov. Napolitano really brought this to national attention with her "Innovation America" initiative as head of the National Governor's Association last year (www.nga.org/center/innovation). 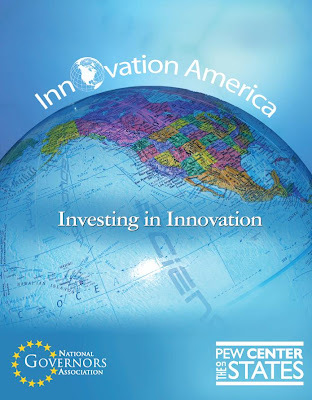 A new report by the Pew Center on the States and the NGA describes what's happening at the state level and Arizona is cited as one of the more innovative states with impressive results (http://www.pewtrusts.org/pdf/NGA_Report.pdf). Today's East Valley Tribune carries a front page story about new homes being built in an area of known earth fissures in the San Tan area souteast of Phoenix (http://www.eastvalleytribune.com/story/99710). 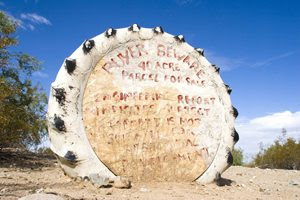 The fissures appear on older AZGS maps and have been known by locals for years, prompting some to post a warning sign along the road in an old tractor tire. A representative of the developer told the Tribune reporter that a well-known geologist was hired to verify there are no fissures on the property, but he couldn't remember his name. Two Arizona companies made it onto Fortune magazines list of 100 Fastest-Growing Companies 2007: Southern Copper (#9) and Freeport McMoran Copper and Gold (#19). Southern had earnings-per-share growth of 83%, revenue growth of 67%, and total return of 83% (all 3-year annual rates). Freeport's numbers were 127%, 51%, and 44%. Baseline magazine also just selected Southern Copper as the #1 company in the country at using information technology to increase productivity, with a return on IT investment of 1290%, adding $1.098 billion in value to the company. Southern Copper credited deployment of business intelligence software and Internet telephony. Employment in Arizona’s copper industry grew 19 percent to 8,200 jobs in 2006, and the industry’s total economic benefit to the state was up 34 percent to more than $4.7 billion, according to the latest annual study prepared for the Arizona Mining Association ("The Economic Impact of the Arizona Copper Industry 2006" - http://www.azcu.org/viewNews.php?item=7). 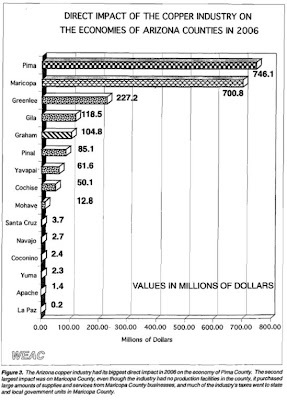 Arizona copper companies produced 787,236 tons of copper and other minerals with a total value of $5.628 Billion (59% more than in 2005). U.S. critical mineral stockpile "ineffective"
A new report from the National Research Council concludes , "Neither the federal government nor industry have enough accurate information on supplies of minerals critical to the economy and national security," while a second new report says that, "the National Defense Stockpile of materials reserved for emergencies is ineffective for such purposes. Systematic approaches are needed to collect better data on supplies of critical minerals and to manage national security needs." 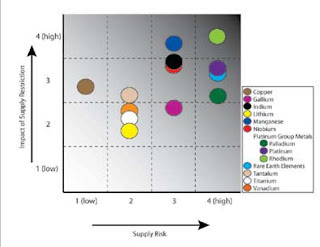 Copper rates a 3 on a scale of 1-4 in impacts from a supply disruption (see figure above), but it has the lowest supply risk of the 11 critical minerals studied, because so much in produced domestically (read that as "Arizona"). The study highlighted economic, technical, and political factors limiting supplies of critical minerals for national defense, including noting that urbanization has effectively removed copper reserves near Florence, between Phoenix and Tucson, from development. The primary use of copper is in building and construction but the most critical national defense use is for telecommunications which uses 5% of the supply (see table). Minerals, and the U.S. Economy. 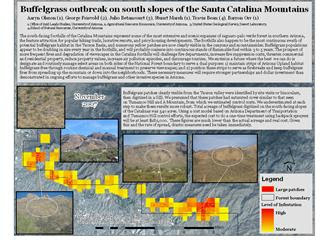 Google Earth posted new photos of the Santa Catalina Mountains north of Tucson that show spectacular views of the debris flows that tore up much of the canyon in July-August 2006. 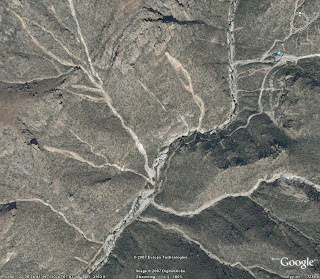 Go to Google Earth and search on "Sabino Canyon." The light colored streaks running from upper left to lower right are debris flow chutes. Stop 9 on the shuttle route is marked by a blue dot in the upper right. That location was buried by 8-10 feet of boulders and debris. Participants on the AGS Ores and Orogensis field trip to silver mines in Zacatecas, Mexico, led by Peter McGaw, found their way there from the Tucson symposium via a myriad of pathways. My friend Tom McCrory made a fairly straightforward trip by planes from Tucson to Dallas, Mexico City, and Zacatecas before grabbing a taxi for the last 30 miles to the field trip jumping off point in Fresnillo. Pity the poor woman from Kosovo who went from the meeting in Tucson to Zacatecas by a 22 hour bus ride. Tom reports that, "The field trip went underground all three days they were there, including five hours in the largest producing silver mine in the world [note: in 2006, the Penoles' Proano (Fresnillo) mine produced 33.49 million oz Ag]  What the picture doesn't show is the incredible heat and humidity near the working faces. In this mine they have intercepted five veins, the longest of which is 6.5 kilometers from east to west (typical precious metals ore shoots run less than one kilometer). As most of the district is under alluvial cover, and has never been explored with modern methods, it is entirely possible it could hold more than 10 percent of the entire world reserves of silver." The launch of Sputnik 50 years ago today is being rightly celebrated as the start of the space race and a shot across the bow of America's scientific supremacy. It also helped trigger the start of two geologic revolutions - plate tectonics and planetary geology. 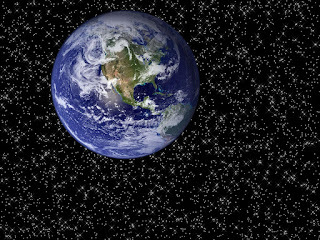 It was the synoptic views of Earth that galvanized a new generation to think seriously about the previously outrageous concept and start looking at geology on a global scale. And suddenly we had a dozen other worlds to compare to the Earth to understand just how unique the geology of this world is. The excitement of seeing pictures from new worlds has been for me comparable to historical terrestrial explorers who found new lands and peoples. A major proposal is to develop a National Water Census. At last fall's GSA meeting, Gene Whitney of OSTP (the only geologist in the White House) gave a talk on the Census, describing it this way: "Such a census would require us to develop and adopt data collection, data communication, and data availability standards and protocols for all surface water, groundwater, and water quality measuring and monitoring systems nationwide. A census would integrate existing water monitoring networks to provide uniform water measurements nationwide, and would develop a strategy to establish regional and national priorities for the highest level needs for surface and groundwater monitoring in the U.S. Such a water census might also include implementation of the National Water Quality Monitoring System." A special issue of Science magazine focuses on reports by Arizona planetary geologists Alfred McEwen (University of Arizona Lunar and Planetary Lab), WL Jaeger (USGS Astrogeology Team in Flagstaff) and their colleagues, in which it's concluded that "evidence for liquid water [on Mars] is rare and difficult to discern." The collection of articles in the Sept 21 issue on the Mars Reconnaissance Orbiter report that fields of boulders up to about 2 meters in diameter occur in areas previously thought to be riverbeds and ocean floors. 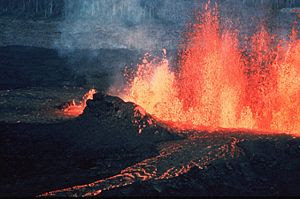 Some landforms thought to have been formed by flowing water are now seen as evidence of flowing lava. Sounding more like Arizona every day. Dr. Alfred McEwen discusses the findings in a related podcast interview at http://podcasts.aaas.org/science_podcast/SciencePodcast_070921.mp3. A new introductory geology text by ASU professor Steve Reynolds and colleagues is designed to address how students think, learn, and study. Although it was only published in June (too late for most professors to select it for fall classes) it's been picked up by at least four universities and is creating buzz in education circles because of it's innovative use of cognitive research in how visualization affects learning. Exploring Geology by Reynolds/Johnson/Kelly/Morin/Carter (and published by McGraw-Hill) is built around nearly 2,700 photographs and illustrations laid out entirely in two-page spreads. Each two-page spread is a self-contained block of information about a specific topic. It's organized differently from all the other texts I've seen as well. When Steve showed me a copy at last week's AGS conference, I wanted to run off with it, find a quiet corner, and pour though it. It's true: a good illustration is worth at least a thousand words. 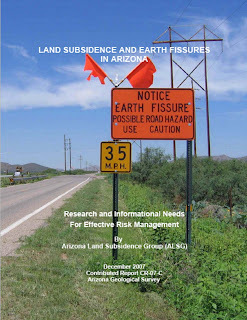 The Tucson Weekly for Sept 27 has 3 full pages dedicated to earth fissures and in particular, their potential to serve as conduits to ground water. 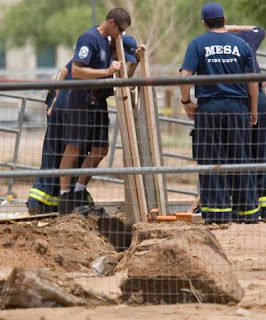 See the full story by Sam Stoker at http://www.tucsonweekly.com/gbase/Currents/Content?oid=oid:101037. This is their annual "best of..." issue which means it's widely read, but also snapped up from the newstands quickly. The national Association of Environmental and Engineering Geologists (AEG) approved creation of an Arizona Chapter at their board meeting on Friday. For the past 2+ years, we have had an AEG section in Phoenix as part of the Las Vegas-based Southwest Chapter. There is also a student chapter at the University of Arizona. Section presidents Jessica Humble and now Ken Fergason, with great support from many others, have done incredible jobs building the section into a dynamic professional organization. The next question is now that we have an Arizona section, when will it be active in Tucson? The Phoenix Arizona Republic (http://www.azcentral.com/arizonarepublic/business/articles/0923biz-miami0923.html) reported last week that Freeport McMoran is considering re-opening inactive mines in Arizona and Colorado because copper and molybdenum are near all-time high prices (a story apparently not picked up by the news media here in southern Arizona). Freeport is reported as looking at reopening or expanding Globe/Miami, Bisbee, Clifton/Morenci and Leadville, Colo. They have been drilling at the Lavender Pit in Bisbee which has been closed since 1974 [right]. To meet the demand, Freeport is running 7 days on, 7 days off, for workers driving or being bussed from cities around Arizona. The latest word is that the labor shortage is so severe that they will be flying in workers from Las Vegas and Dallas for one week shifts at Morenci. On another note, Paul Lindberg enthused about the mineral resources still in the ground at the Jerome mine. During his talk at the Ores and Orogenesis talk in Oro Valley on Friday, he told how there were few assays or other analyses during the mine's early exploration and much of the potential was not determined. He estimated only 20% of the ore body has been exposed or excavated. The mine was a major producer of copper, zinc, lead, silver, and gold from 1883 to 1953. AGS symposium - "best of the past decade"
The technical program for the AZ Geological Society's "Ores and Orogenesis" symposium wrapped up Saturday evening with a 'beer bash' where participants uniformly described it as the best scientific event many had attended in the past decade. That was evidenced by almost everyone packing technical talks until 5 pm on a Saturday. Most speakers are expected to contribute a written version of their talks to a proceedings volume due out next year.